Five members of the FLEX Alumni Community in North Kazakhstan received Global Youth Service Day Matching Grants and organized amazing projects. Let’s learn about some of the events that FLEX alumni organized to celebrate the world’s largest youth-focused service event. International Model United Nations Conference: On April 7-8, at Nazarbayev University Aliya Kabylbekova’16 (Astana, Kazakhstan/ Edina, MN) organized this two-day university-level simulation of the committees of the United Nations and other international organizations, in partnership with the Nazarbayev University Model United Nations Club. This year’s NUMUN 2018 hosted the United Nations Security Council, the Council of the European Union, and the World Health Organization. Her Right To Write: Tomiris Sagidulla’17 (Astana, Kazakhstan/ Las Vegas, NV) and Aknur Berdigulova’14 (Karaganda, Kazakhstan/ Pearland, TX) organized a five-hour intensive workshop for students of four universities in Astana to learn how to develop their skills in writing, blogging, and journalism. The 35 participants attended presentations by three experts in the field. The presenters included, Jonathan Dupuy, a creative writing professor at Nazarbayev University who talked about overcoming the fear of writing and led a group activity on finding inspiration from personal experience; Kuralay Abylgazina, an informational journalist at InterFax Kazakhstan who shared her experience of working in Kazakhstan and pointed out few great opportunities for girls to improve their skills in public relations; and FLEX alumna Aygerim Kagarmanova’10 (Ust-Kamenogorsk, Kazakhstan/ Hoboken, NJ), a successful Instagram blogger who talked about her research behind social media popularity and motivated girls to start their own blogs by creating an Instagram challenge. Event organizers shared fifteen different international fellowships, conferences, and workshop opportunities for beginner journalists. 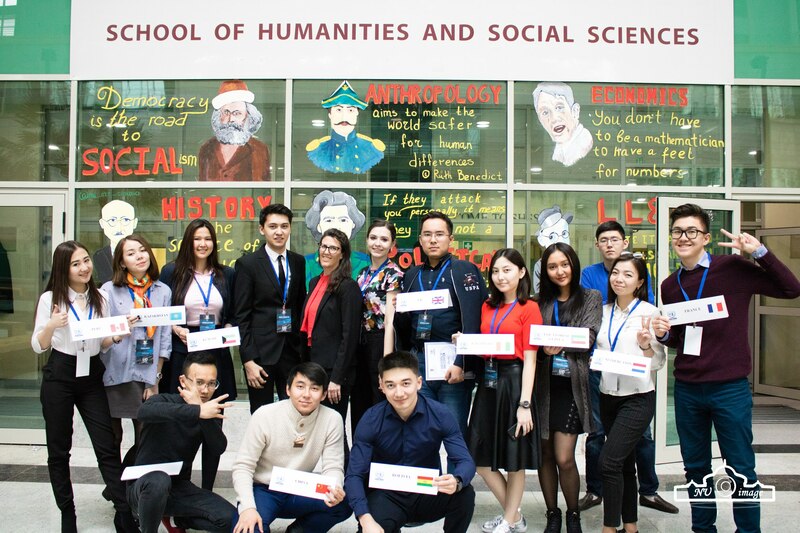 Afterwards, all of the participants received Certificates of Completion from Dr. Daniel Pugh, the dean of the School of Humanities and Social Sciences at Nazarbayev University. 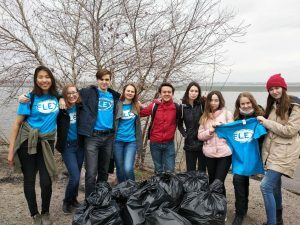 Riverside Clean Up in Karaganda: In dedication to Earth Day on April 22 City Representative Yana Veytsman ’17 (Karaganda, Kazakhstan/ Peyton, CO) organized a river clean up with local alumni and friends. Yana said: ‘The river is our favorite place for picnics in the summer and we noticed that over the years the amount of trash grew. So we decided to go out and change it for GYSD 2018!’ She invited three alumni Tatyana Bon’17 (Karaganda, Kazakhstan/ Red Lodge, MT), Alima Bazarbaeva’17 (Karaganda, Kazakhstan/ St. George, UT), and Alexander Demchenko’17 (Karaganda, Kazakhstan/ Montgomery, AL), four FLEX finalists, and other friends to join in the community service event. In four hours of cleaning and fun on a beautiful Sunday afternoon they gathered over ten bags of trash! 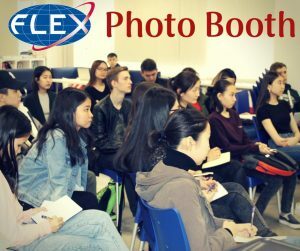 Photography Workshop: Thirty high school students attended a workshop on May 4 by University Representative Dana Kassymbayeva’15 (Astana, Kazakhstan/ Lemoore, CA). She says: “It was an amazing experience for high school students to meet successful people and photographers who were ready to share their stories and tips in order to become professional. They talked about how to overcome the fear of becoming a photographer and encouraged the students to sign up to attend photography club meetings here in Astana.” Participants also learned tips about light and different types of photos. International Kultegin Debate Tournament: On April 21 and 22, at the Eurasian National University Temirlan Yergaziyev ’14 (Astana, Kazakhstan/ Ellsworth, WI) organized a debate tournament that hosted 70 teams from Kazakhstan, Kyrgyzstan, and Russia to debate in the British Parliamentary format. Over 140 students honed their debating skills, allowing them to become some of the best in their countries. Overall, the five projects benefited more than 400 participants! 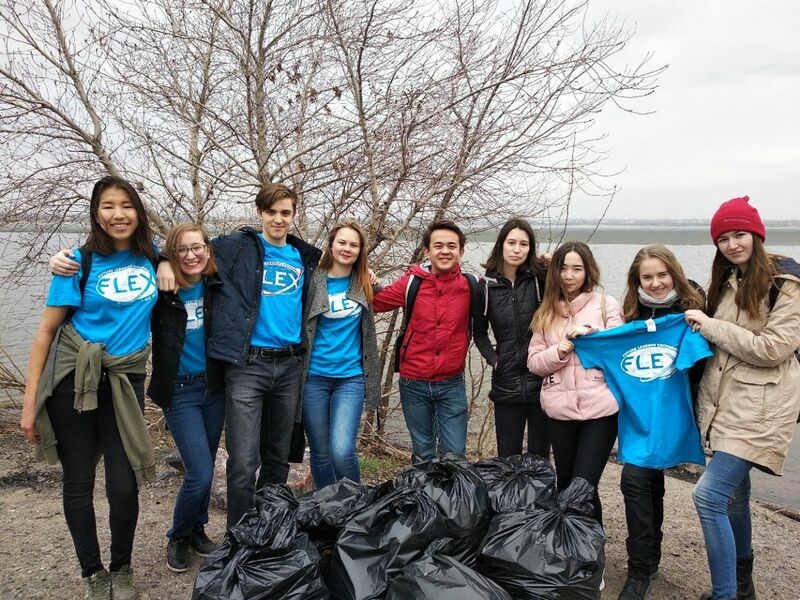 Congratulations FLEX Alumni in Kazakhstan on your amazing success during #GYSD18!